If you’re looking for the perfect gift this Christmas, look no further than this beautiful Zatoichi Bu-ray box set from Criterion. Containing all 27 remastered episodes of the movie series along with the usual Criterion goodies, this set looks like a good upgrade from the Home Vision DVDs released in 2002-2004. 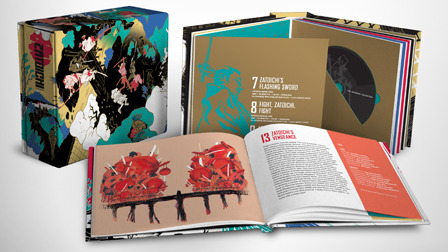 The Criterion box set will be released on November 26 — Zatoichi fans, start saving!